I was extremely happy to be sent a couple of products by Mary Elizabeth to try and I wanted to share my thoughts with you. 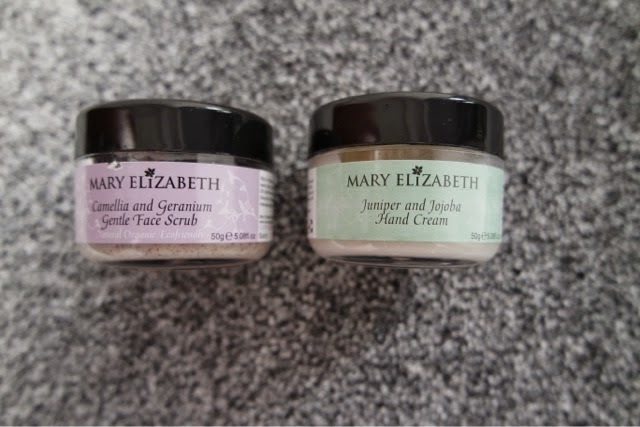 I also tried the lovely Juniper and Jojoba hand cream on the left which left my hands feeling extremely soft. It was non greasy and soaked in quickly. It contains lots of lovely oils such as Lavender, Jojoba, Vitamin E and also Shea butter so it is kind to your skin as well as smelling great. I look forward to also trying the small pot underneath which is a Spearmint and Tea tree multipurpose balm which actually won an award last year in the beauty bible awards, how exciting! 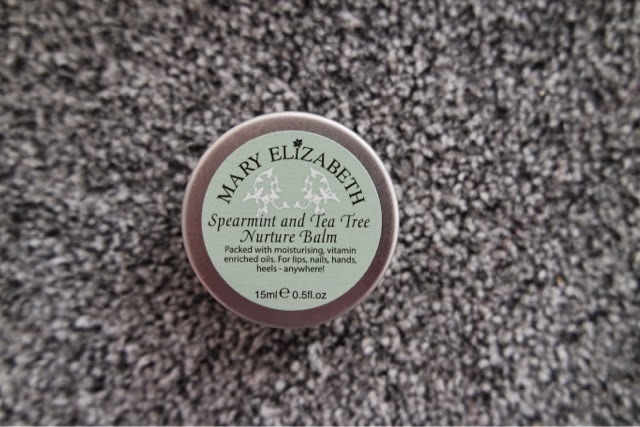 If you want to learn more about Mary Elizabeth products please check out www.maryelizabethbodycare.com as they have a fab range and are against animal testing and they don’t contain artificial colours or parabens.